Music Time. Bonding Time. Community. When your family joins our community, you and your child will be immersed in a world of participatory music-making, with a combination of singing, movement, and instrumental play. At Riverside Music Together, you’ll nurture your child’s music potential in the important early years while supporting their overall development, and you’ll have fun together doing something we all enjoy—making music! Take a look inside a Music Together® class! Then join us for a no-obligation trial class! Sign up today using our online demo scheduler. Summer Classes start June 10th! Summer Class Registration is OPEN! Take a look at our Mixed Age classes page today! Have a 5 to 8 year old? 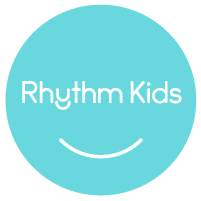 Check out our Rhythm Kids summer camp here! Refer a friend and you both get $15 cash back! Music Together Rhythm Kids THIS SPRING with the Toucan Song Collection! This Spring we'll explore the Toucan Collection with drumming patterns from Brazil, heard on a song called "In Rio." Children will discover the fun of samba music and dancing with the song "Sambalele" - and even learn to sing in Portuguese! We'll learn to beatbox, as we dance, and sing about our friends in "Bout My Friends." And, of course, we will sing, hop, and fly like Toucans over the rainforests of South America as we sing and drum along to "Two Toucans." Come join us!